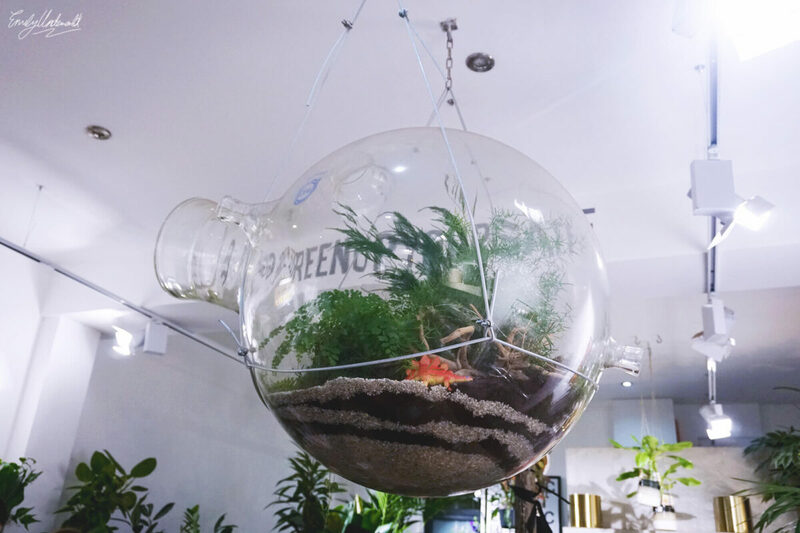 The super-cool craft workshop booking website Obby* asked if I wanted to try out a class of my choice to review, and after much deliberation, I picked out a ‘Terrarium Tuesday’ workshop at Grace & Thorn, a florist based in Hackney and Brick Lane. 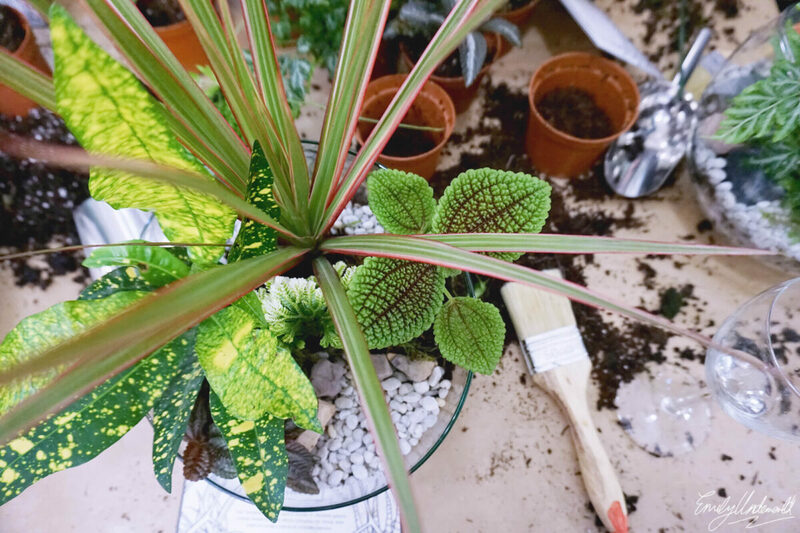 Obby have curated hundreds of awesome London classes, varying from cooking and mixology to arts and crafts, and even more uncommon workshops like Spoon Carving, Wax Sculpture, and an Experimental Chocolate Tasting Club. If you’re a blogger, you may be interested in one of their photography classes, such as Fashion Photography or Product Photography, and they’ve got Photoshop classes too! I’d love to try the London Photography Walk Workshop. 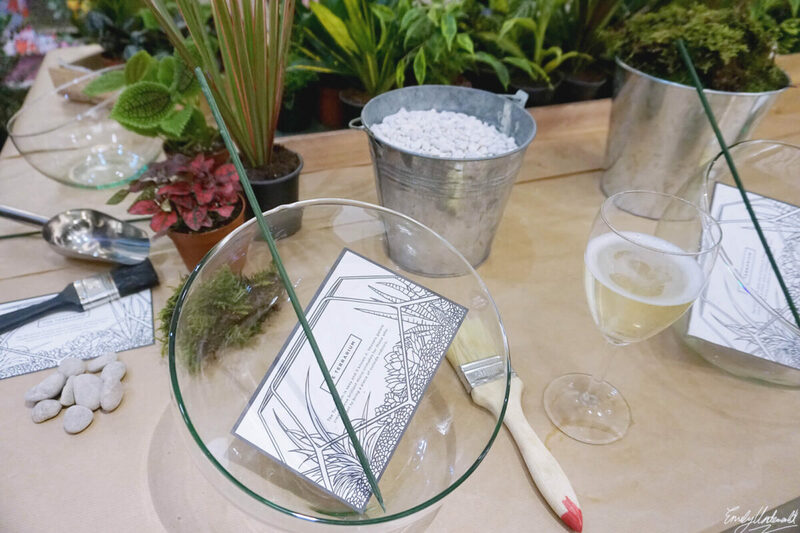 Upon arrival at Grace & Thorn, we were given glasses of delicious prosecco, and everything we needed to make our terrarium was set up on the tables. A terrarium is an ecosystem in a glass container containing several plants that complement each other; a closed terrarium is self-sufficient, and open terrariums (the ones we made) need to be occasionally watered. 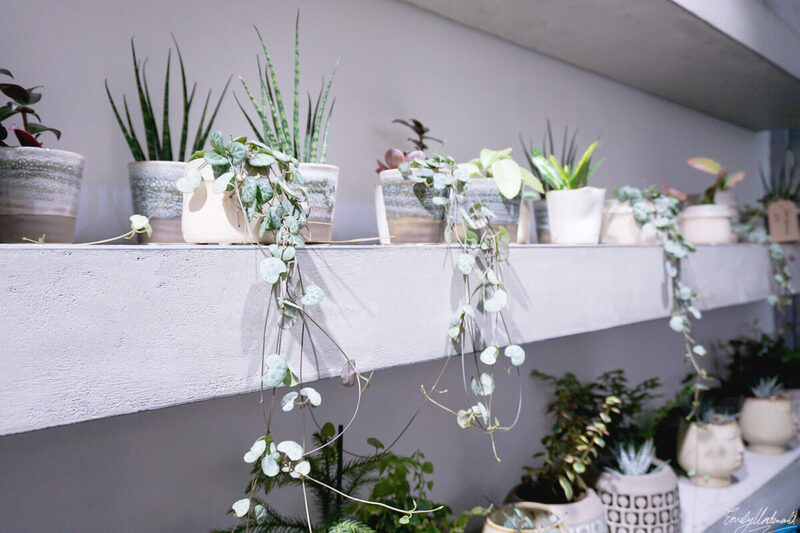 We were told about the history of terrariums, which have recently become popular as decoration but in fact, they originally functioned as a way to export plants to Australia back in the Victorian era! You might be wondering what the paint brushes are for – they were used to brush away any excess soil on around the glass edges. I had a lovely, peaceful time arranging my terrarium and picking out which plants would look well together. We had a huge variety of plants, moss, and stones to choose from, and were advised to pick around 5 plants for the size terrarium we made, so that the plants have enough room. I decided to make a little section for stones at the front, and a few layers of them within the soil so it looks cool all the way around the glass. By the end of the two-hour class, everyone’s terrariums looked so different… and we all had soil in our prosecco glasses. I was a bit worried about carrying my terrarium home on the tube, but the bags we were given were very sturdy so I didn’t have any issues with that. I had a little browse around the Grace & Thorn shop while I was waiting for the class to start – it’s plant heaven. If I could decorate our whole house with plants, I totally would. 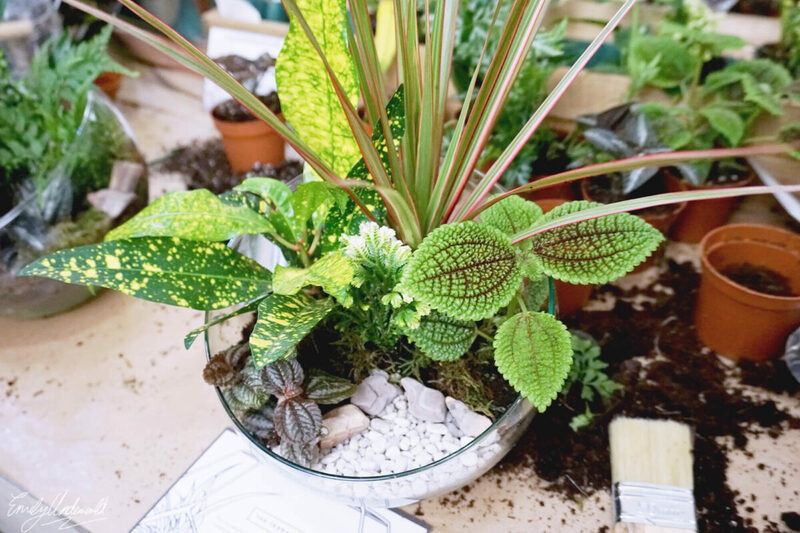 A terrarium is a great way for Londoners to bring in some nature to their homes, and they look so cool! The terrarium I made is now standing proudly in our kitchen, brightening my living space! 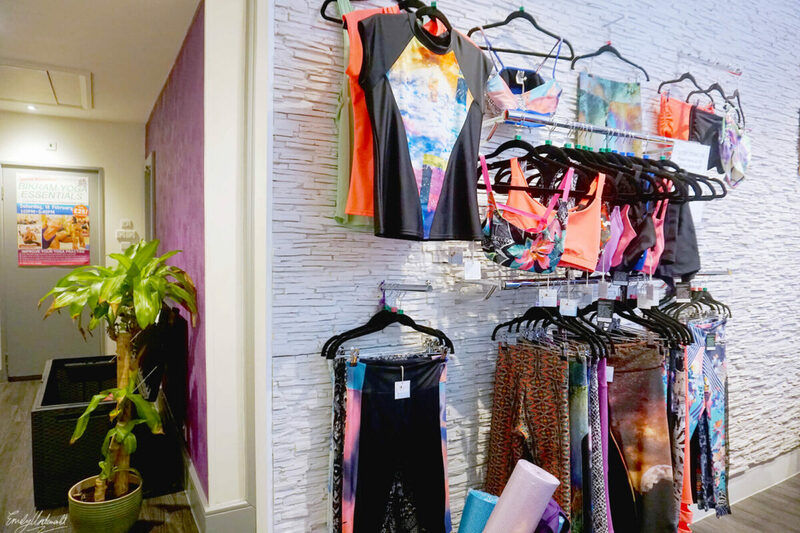 Booking my class through Obby was so easy, and I’d recommend checking it out whether you’re looking for a unique gift (Mother’s Day is coming up! ), a fun date idea, or just something to do at the weekend. 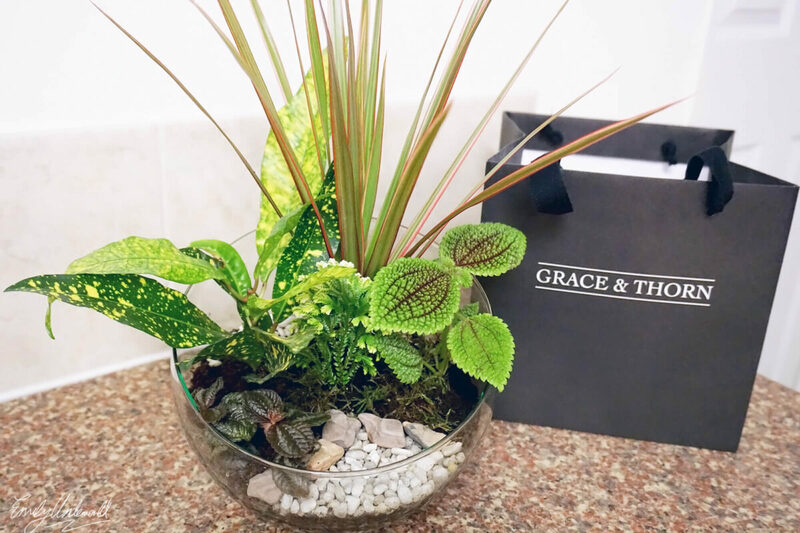 Terrarium Tuesday at Grace & Thorn is £65. 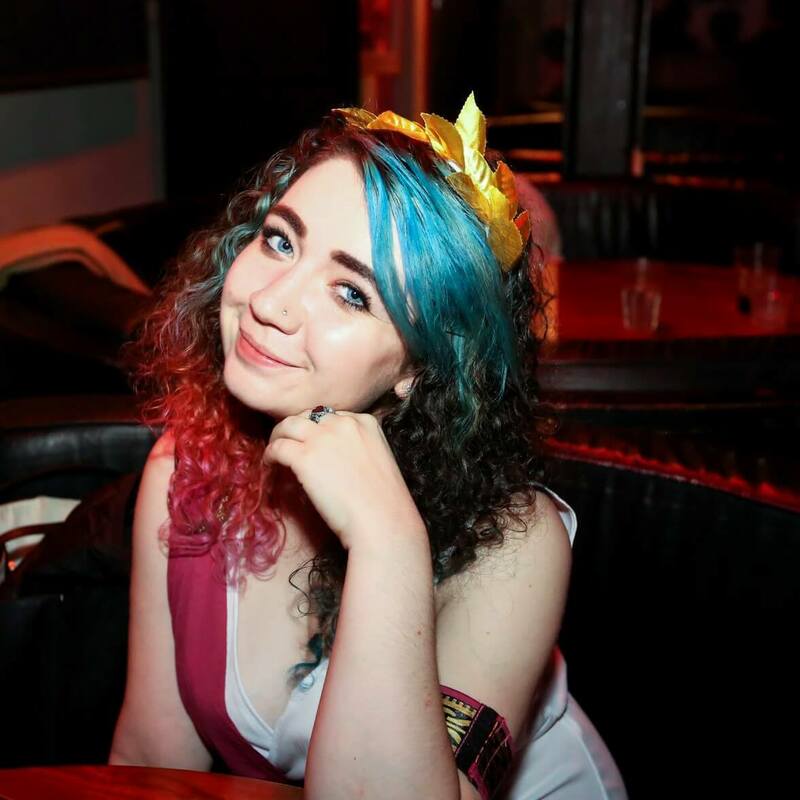 *I was invited to review a class of my choice by Obby, but this blog post is not sponsored, and all opinions are my own. Previous Previous post: The DC Super Heroes ‘Art of the Brick’ Lego Exhibition!